Heat oven to 350°F. Heat 10-inch skillet over medium-high heat; add bacon and cook until crisp. Remove bacon with slotted spoon; add jalapeño chiles and white parts of onion to skillet. Cook 4 minutes; stir in shrimp, green onions and bacon. Separate dough into 8 biscuits. Press or roll each to form 6-inch round. 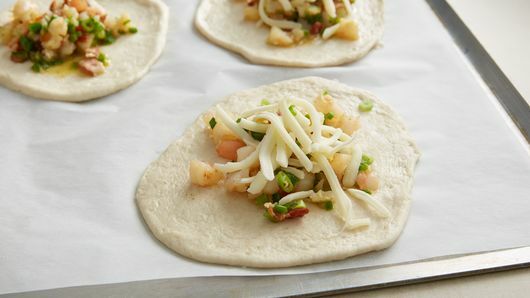 Scoop 1/4 cup bacon mixture on center of each round; top each with 2 tablespoons cheese. 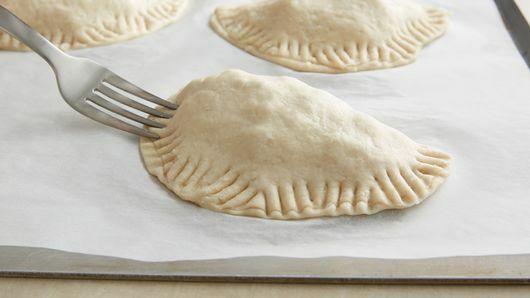 Fold each in half, gently stretching dough over filling. Using fork, press seams to seal. Place on ungreased cookie sheet. Bake 24 to 26 minutes or until golden brown. 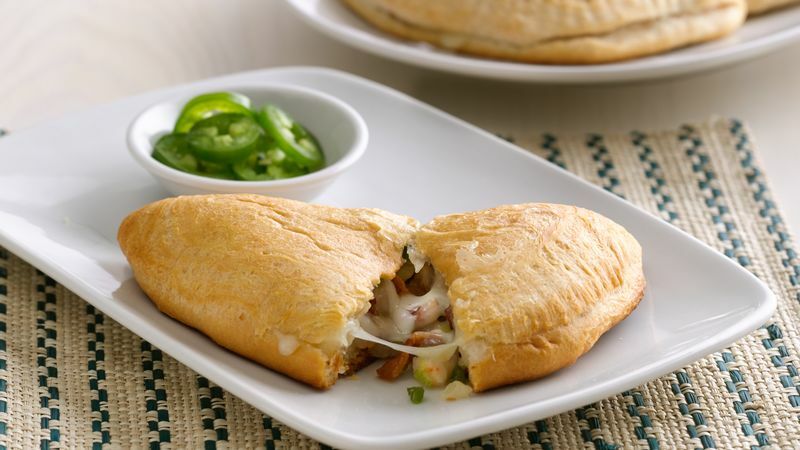 Save a few of the sliced green onion tops to sprinkle on the baked empanadas as a garnish. Mix it up! 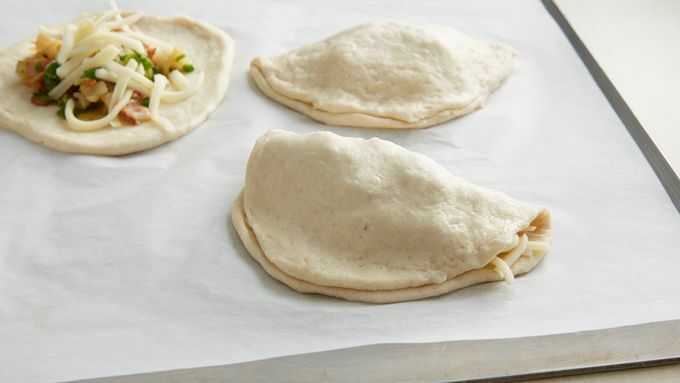 Swap queso fresco or Cotija for the mozzarella.